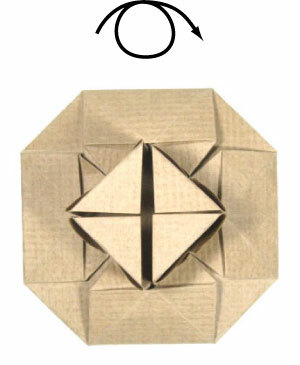 Rotate the origami table model by 45 degrees. This is the bottom view of the origami round table. Prepare to turn the origami round table over. Turn the origami round table over. 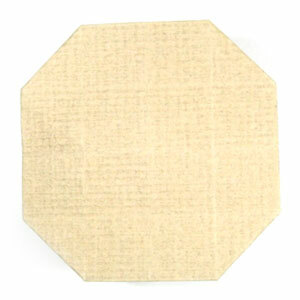 This is the top view of the origami round table.